After three and a half years of construction, The Gottesman Family Israel Aquarium, Jerusalem has opened on a two-acre plot of land provided by the Jerusalem Municipality, adjacent to the Jerusalem Biblical zoo, and will run as a separate attraction. After three and a half years of construction, The Gottesman Family Israel Aquarium, Jerusalem has opened on a two-acre plot of land provided by the Jerusalem Municipality, adjacent to the Jerusalem Biblical zoo, and will run as a separate attraction. The ILS 100 million project has been funded from various sources including ILS 18 million from the Jerusalem Municipality and Israel Ministry of Tourism, with the remainder from overseas, local investment and the zoo’s endowment fund. As reported in ITN #378, the aquarium focuses on local marine life from the Mediterranean Sea and holds two million cubic liters of seawater in a series of recycling tanks, along with an underwater tunnel that enables visitors to walk underneath the aquarium and experience a 180° view of the sharks, sea turtles, coral reefs and exotic fish. 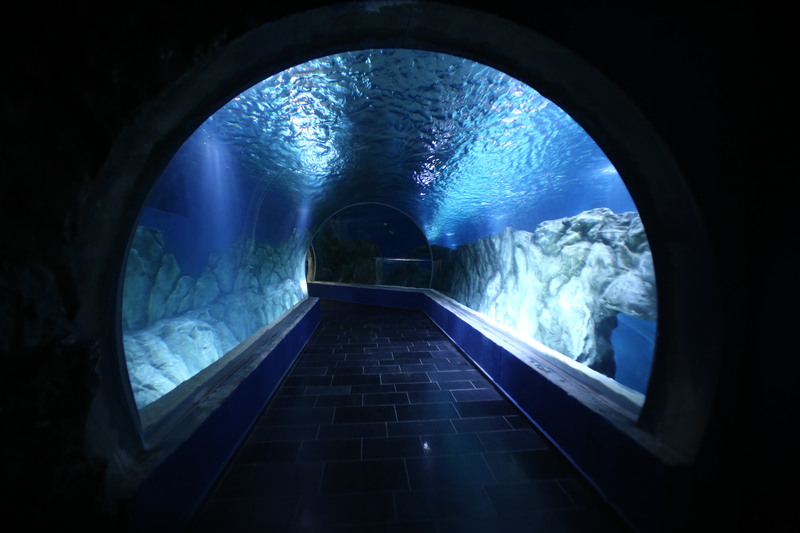 The aquarium features two exhibitions, comprising an open sea tank representing the Mediterranean Sea life and a second tank with marine life reflective of the Red Sea environment. Other exhibits offer educational insight into sea life, including topics on behaviors of schools, camouflage and a display of exotic habitats, and interactive pools where visitors have the opportunity to feed or view sea life from above the surface. Information and signs are displayed throughout the aquarium in various languages, as are interactive touch screens stations. The space, spanning 6,500m², is also used for other entertainment purposes, including gatherings, presentations, events at the shark tank and dive shows. According to the Jerusalem Biblical Zoo website, the aquarium continues an existing commitment to conserve local habitats and species, and it will serve as an educational tool to raise awareness on issues concerning the environment and, in particular, Israel’s aquatic ecosystems.